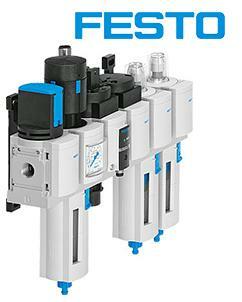 With its large product range, highly functional components and a wide choice of services, the MS series from Festo offers a complete concept for compressed air preparation. 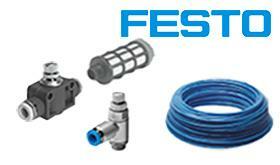 For simple standard applications as well as application-specific solutions with the highest quality requirements. Whether you require individual components, pre-assembled combinations, application-specific combinations or ready-to-install solutions, we have you covered. Everything from a single source: Monarch Automation stocks Festo connection products, a perfect fitting and cost-efficient installation solution for every task. Tubing for a wide range of working environments: including versions for the food industry, flame-retardant, PWIS-free or media-resistant designs. Fittings and connectors with push-in and barbed fitting connections including the typical shapes; straight, L, T, X and Y. Valve accessories such as flow control valves and air silencers round out our in-stock connection product lines. 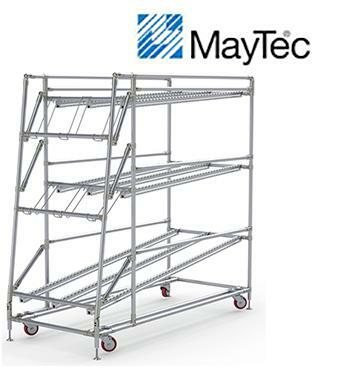 MayTec offers a comprehensive and integrated profile system where profiles can be connected in any way you may require. A wide range of accessories provide functional and aesthetic results to applications. 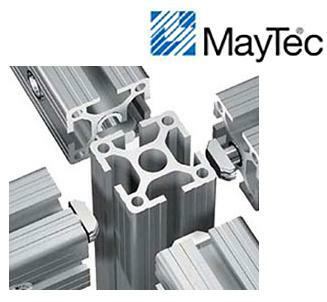 The MayTec profile system allows for rapid assembly and short turnaround time. Our experienced team can support you in design and implementation tailored to your individual applications. The flexible and modular construction of products means they can be easily adjusted, modified or even re-purposed. Fully customizable, the system can be quickly designed and assembled. For handling and storage equipment it offers a simple, space saving solution. Monarch stocks black, blue and stainless steel products, plus a full range of connector joints. They are cut to length and connected using a selection of steel interlocking joints and accessories. The system is versatile and economical, all pipes and joints are reusable so constructions can easily be reconfigured or products recycled. Wago’s DIN rail terminal blocks with patented CAGE CLAMP® spring pressure termination technology reduces wiring time by up to 50%, while delivering a reliable, maintenance free connection independent of operator skill. Thanks to Push-in CAGE CLAMP® technology, the TOPJOB®S DIN-rail-mount terminal blocks are the industry’s most compact. Solid conductors, such as for power circuit wiring in small distribution boxes, can be terminated by simply pushing them in, replacing time-consuming screw connections. 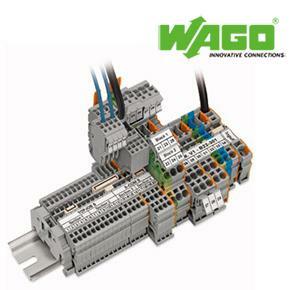 Monarch Automation stocks a wide selection of Wago DIN rail terminal blocks for immediate delivery. 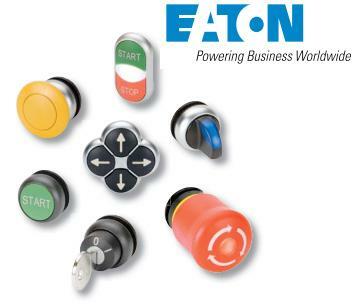 Our in-stock functional line of pushbuttons features a space-saving construction that enables fast assembly. The M22 Pushbutton line includes a core group of pushbuttons, selector switches, pilot lights, mushroom operators and E-Stops, as well as palm switches, four-way buttons, buzzers and communicating devices. The M22 innovative and ergonomic design is ideal for OEM’s, end-users and system integrators who value front panel aesthetics, maximum flexibility, and high quality construction. The M22 reflects Eaton’s commitment to provide products that deliver increased reliability, functionality and time savings, while raising the industry standard in quality and versatility.